Too Many – Too Soon? RM has faced its share of challenges this year. From their Amelia Island auction’s weather caused unanticipated change of date to the multifaceted set of issues faced during their recent single marque solo auction at the Porsche 70th anniversary in Atlanta. They have weathered these storms (no pun intended) with varying degrees of success. But our biggest question with RM has remained – will RM’s auction schedule, and penchant for solo auctions, prove overly ambitious – even in the best of environments – or prove a smashing new model for success? RM is certainly not unaware that the auction market has been changing since mid 2016, with a shrinking number of good cars, leading to rising competition to represent the best (or more) cars, leading to agreement to artificially high estimate ranges to get the business, leading to more ‘no sales’ which generates unsustainable profit levels and disillusioned sellers, leading to an increasing need to demand a ‘no reserve’ agreement to qualify for auction, leading to the best sellers and examples balking the result being even less quality inventory being made available. Wash, rinse, repeat. Looking at the very few and ‘market worn’ examples on offer at this auction (at least as regards the models that we follow) it appears that the larger universe of sellers were not so confident in this event. Auction house plans are set well in advance, and exogenous shocks (in the larger asset class environment as witnessed by the current steep downward trajectory of demand and pricing in all asset classes) are admittedly not so easily forecasted. But downside risk needs to be considered as a possibility in all cases. And the potential for a self-inflicted wound due to an overly ambitious auction schedule should be carefully considered. While we wish all success, and we may or may not be able to determine if any single auction is a victim of too many too soon or of circumstances or both, it may be time for auction houses to rethink their 2019 strategies – just in case. On that note … in January we will be putting out a blog post on the ’State of the Auction Markets’ and the outlook for 2019. We will discuss current market dynamics, strategy in a changing environment, and how it all affects buyers and sellers and of course auction houses. And for the first time we will be opening a blog post up for comments – but only for PORS9 Members. 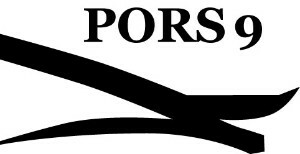 PORS9 membership is simple and it’s free … join the thousands of Porsche owners already in our database! Lot 198 – 1987 Porsche 959 Komfort – 41k KM – Black/Grey – estimate $950k – $1.1m – Reserve. We have a full set of inspection pics of this 959 from 2015 when the license plate was a placard from Keuylian Beverly Hills (side bar: Viken Keuylian’s fraud story going from facing 30 years in prison in 2009 to a full exoneration in 2014 is worth a google). It’s been properly maintained. And it does have a rare for a 959 CARB certification. The downside is that it’s an older repaint that took the color from its original Graphite Grey Metallic (an outstanding and rarer color) to Black. And it’s been fully converted from original as were all Show or Display imports. The listing states that ‘… the only modification the owner is aware of …’ – being adding a cat – but surely this owner knows for sure (Wayne of Pelican Parts) … hmm kind of an odd hedge? We believe that Show or Display imports should sell at a discount as, contrary to popular belief, Show or Display restrictions carry with the car for its lifetime in the U.S. (with a few exclusions) the primary value impact being that you cannot reconvert the car (which in this case would be self defeating as it would then not pass smog and one would lose one of its greatest value propositions, CARB certification). At 41k KM it’s nothing special in terms of miles. But it’s quite complete. As we have noted in the recent past just about any 959K that hasn’t been in an accident is a ~$1m car these days. A good driver for someone who wants to cruise the California coast in a 959 without worrying too much about losing value as a result. Hammer around $900k if reserve is lifted. Lot 222 – 2005 Porsche Carrera GT – 8,749 M – Black/Terra Cotta – estimate $700k – $900k – Reserve. It’s surprising how a car, which should be easily provenanced, can get its story so convoluted in auction listings – so much so as to potentially hurt its performance. This car was offered by its original owner by Bonhams at Amelia Island in 2017. It was listed as Black Metallic with 8,437 miles. A seemingly well maintained but driven one owner tourist delivery car. It was a no sale with a $520k high bid on a $600k – $700k estimate. OK – CGT prices weren’t as high at the beginning of 2017 as they are today. Then as recently as September 2018 the car appeared at Symbolic International with 8,738 miles having received a major service and tires at cost of around $80k by its ‘second owner’. But now the car was Black and their ad stated, ‘In 2017 which(th) just over 8,500 miles, it was sold and purchased by the second owner who then arranged for the car to receive Porsche North America’s new full service and bulletin maintenance program at a total cost of just under $80,000. New Michelin’s were then installed and the vehicle driven an additional 200 miles prior to our purchase in July of this year.’ Implying Symbolic as a ‘third’ owner. Apparently Symbolic didn’t have much luck with it so here it is. With 8,749 miles and back to two owners … and it’s Basalt Black again! Clearly no one edits the listing photos as even the underhood sticker lists its paint code as L041 … which is Black. Further the listing notes that it’s ‘the only CGT built to these specifications’ which is true for North America – if in fact the car is Black … but not if it’s Basalt Black! As we have noted in the recent past CGT prices have been the shining star in an otherwise downward cycle. We count no less than a dozen CGT’s on the market at this time so they are not unavailable – they are just priced wrong to move. Full engine out service is a big deal but it doesn’t necessarily mean that the car should sell for more. It more so means that those that have not had it should sell for less. This one could move at low estimate but buyer’s are cautious and patient and when reality sinks in there are plenty of higher mileage $750k CGT’s, so likely its reserve is pulled for a $675k hammer. Lot 225 – 2011 997 Porsche GT2 RS – 5,350 M – Black/Black – estimate $400k – $500k – Reserve. In 2018 the market has formed a steeper price to miles curve than at any other time in the past five years so mileage really matters – ie. and the price drop off is steep as the miles go up. This has become quite apparent with the 997 GT2 RS. Sub one thousand mile cars are still in the $500k’s and the rest can be hard sells. This car only has 5,350 miles but that’s around where the slope seems to be steepest and the very wide estimate range reflects an intuitive understanding of this reality. This car was on offer as recently as September 2018 at Rusnack Porsche for $440k and it did not sell. At low estimate that’s the price for the buyer. There are some dozen 997 GT2 RS on the market – many more than typical – and most can be bought at $440k or less, but they are not selling. This is a sign of the times. Per Experian this is a four owner car. Carbon fiber fenders are a big plus and MSRP is in the top 15% for North America. A second chance all around but at a $380k hammer … otherwise no sale. Lot 227 – 2015 918 Spyder Weissach – 279 M – PTS Oryx White Metallic w/ Matte Black Wrap/Onyx Black – estimate $1.5m – $1.7m – Reserve. Prices of 918’s have fallen considerably in 2018 and continue to do so. Seller’s seem to keep chasing prices down. But as they are always elevated over where the check writers are, the cars don’t sell. A few months pass, sellers concede ground, and the cycle starts over at a new lower price. At auction you don’t get a do over in 60 days. This car is a recycle from RM’s NY Icons auction December 2017 where it sold all in for $1,732,000. And with very few additional miles it’s now offered with an estimate range that reflects more so where markets are today – and that a loss from 2017 is possible. But that’s a welcome breath of fresh air in a time when sellers seem to be having a hard time accepting that it’s not 2015 (or 2017) anymore and auction houses play along resulting in no sales or sales below low estimates. According to the PORS9 Search App it’s 1 of 11 918’s (all Weissachs) with option code 892 Full Film Wrap Matte Black. However, the auction listing claims that ‘… this also included the application of a Matte Black wrap with Martini livery, which was applied at the factory prior to delivery’. However, unlike all other ‘Red Scale’ Martini livered 918’s we’ve seen its build sheet does not indicate option code 901 Full Film Wrap Martini Racing Design (‘Grey Scale’ was CXX with no 901 option), implying that the livery was applied post production. This would seem to be in conflict with how we read that part of the listing – maybe it’s just written poorly. A buyer should want clarity on this, it makes a difference. We are quite interested to see how this car does. As we teased in the opening prologue we will be posting a blog with our take on the market including the auction market. We believe that a different tack will need to be taken by auction houses in 2019 and estimate range has something to do with that. We’ll see if this case fits one of our prescriptions. Suffice it to say that this Lot’s more realistic estimate range helps it even if it implies a lower price than in 2017. We like this car at a $1.575m hammer and a flash back to 2017 at which time it’s hammer price may have been a little under market. Join the PORS9 Email List – Get our RM Petersen Recap!